I have a soft spot for Penshurst, the house I’m going to share with you today. 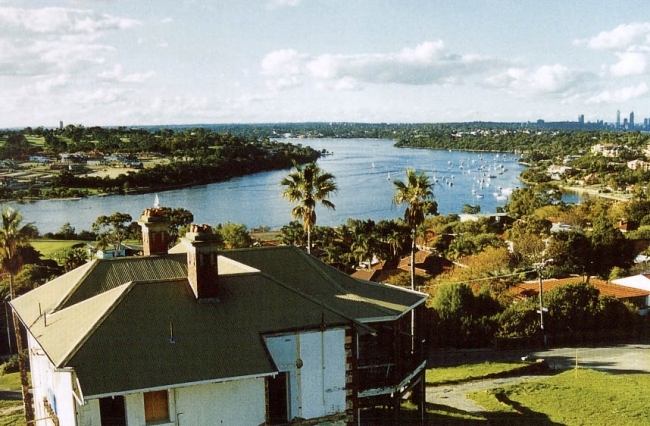 When I was a teenager, after school my best friend and I used to walk down to the river, swim at Bicton Baths and then we’d walk home, sometimes taking a different route to look at the beautiful houses by the river. One day in 2000 we chanced upon this huge old Victorian house, which looked much like the below at the time. 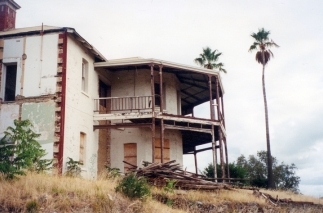 It was a wreck then, but there was something about it, sitting proudly on the hill, older than any other house around it - it had a presence. I was enchanted. 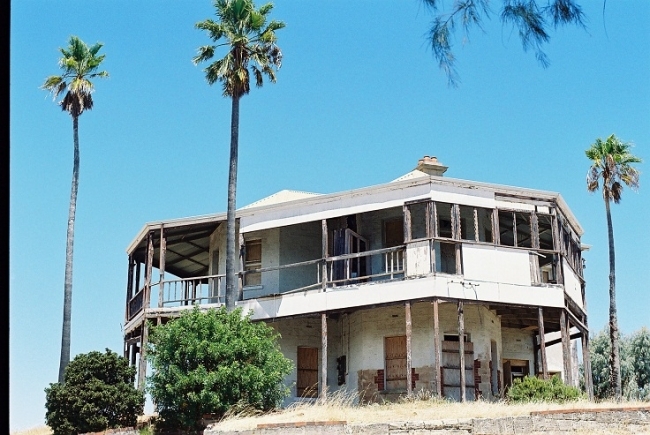 ON TOP OF THE WORLD: A photo of the back of the house, before its renovations. So were Tim and Frances Brien from the U.K, who first clapped eyes on Penshurst in 2001, a year after I first came across it. The Briens, who own a childcare centre, came across a newspaper ad with a drawing of what the house might have once looked like (see below). But as they drew up to the house, they realised the drawing was not entirely accurate! Time had weathered the home so much it was a dilapidated ruin. But they were hooked – and they bought it. 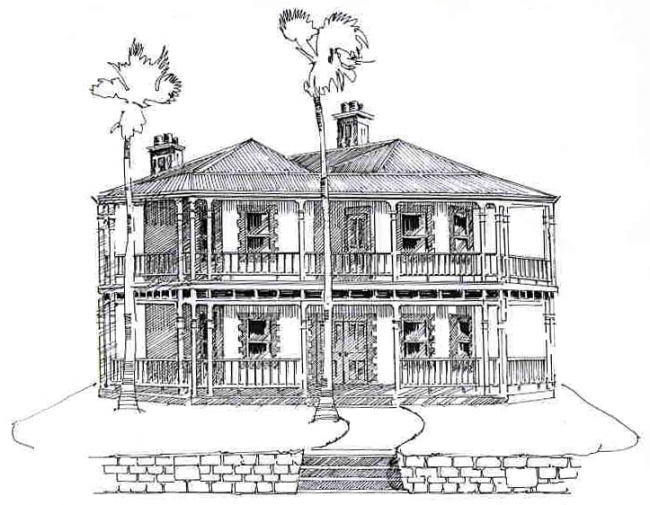 ABOVE: The newspaper drawing of the house as it was advertised. 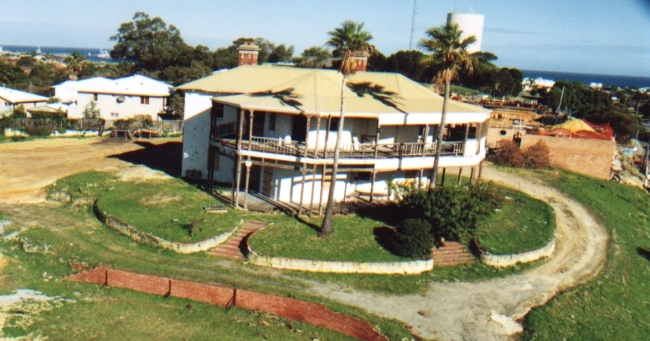 ABOVE: The house as it actually was. Would you have bought it? PENSHURST TODAY: The Briens know the value of patience – the home took ten years to renovate, the beautiful gardens years to landscape as well. 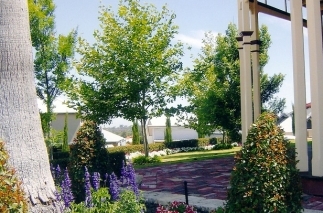 Now tall plane trees to the side of the home are accented by formal hedges and beds of lavender. One of my favourite things about my job is getting to stickybeak inside houses I'd admired for years, and when the chance came to write about Penshurst, I jumped at it. It didn't disappoint me - but it did disappoint its first owner. 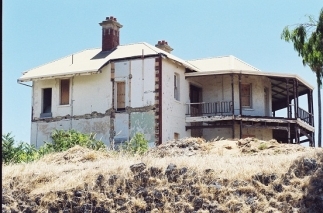 Built in 1897 for a sea captain, the limestone house, named Penshurst, was built on the highest spot in the area atop Richmond Hill, with panoramic ocean, river, city and Darling Ranges views. Absolutely spectacular views. But the story goes that the sea captain’s wife turned up to look at the house one day while it was being built, hated it on sight, turned around and drove back down the road, refusing to ever live in it. Whether that tale is true or not, Penshurst has not seemed to have had much luck enchanting any of its owners – until the Briens came along. Before them, the house was always a rental. 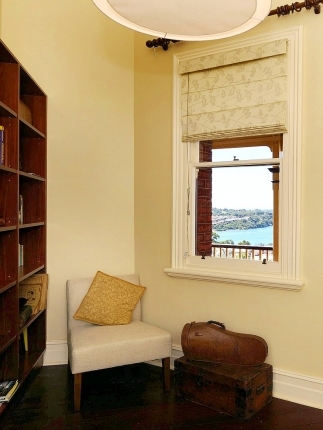 Its previous owners included a WA premier and a man who had spent 20 months at a German prisoner-of-war camp in WWI (both who never resided there) and in 1941 the house was even divided into four rental flats. “We were the first owners who actually lived in it,” laughs Tim. 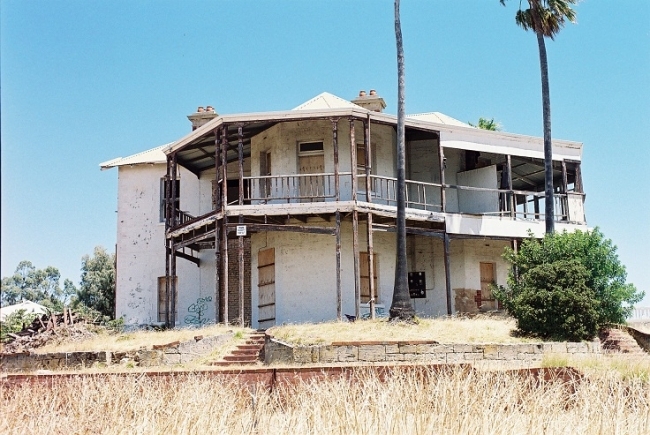 When the Briens made it theirs, the place was a ruin, falling apart from years of termite damage, vandalism and lack of maintenance. 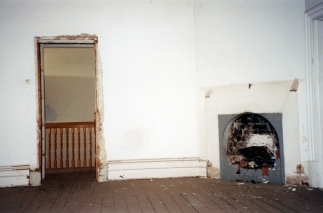 It was once even close to demolition in the 90s – how lucky it didn’t go through! “When we bought it, everyone told us we were crazy,” says Tim, who took on the daunting task of project manager – at just 28! 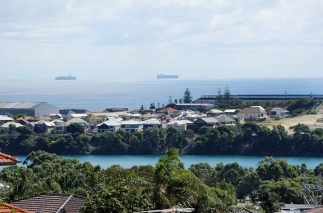 SEA VISTA: The ocean views beyond Penshurst. 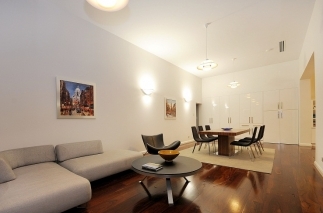 THE MAIN SUITE: A nice transformation! How nice to wake up to views like these every day. TOP: The gardens then and now - not easy to landscape a limestone cliff! BELOW: Penshurst is a late Victorian house of an unconventional design, with its two multi-faceted bays at right angles to one another. According to the Heritage Council, there was no other building built to this plan configuration. 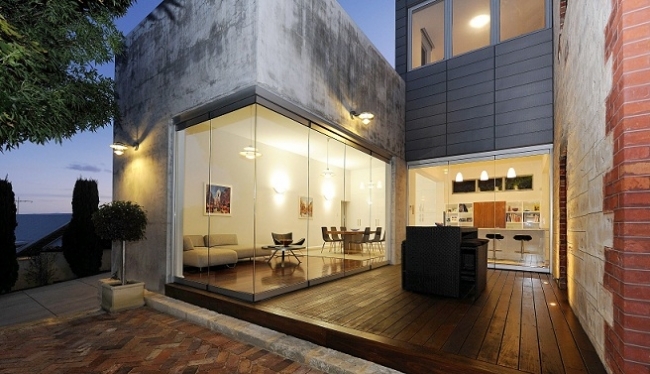 The Briens added a sleek, modern living and garage extension. ABOVE: While the Briens renovated, they had lots of visits from numerous people who had lived at Penshurst at some point during their lives. 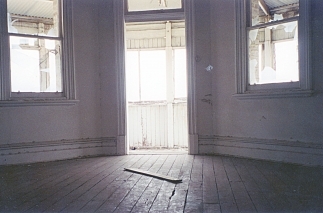 One past occupant gave them this old photo of the entrance hall and how it used to look. ABOVE: The entrance hall today. While the renovations at Penshurst went on, Tim said drivers constantly slowed down in the middle of the road to stare at the house, passers-by stopped to chat, and many people who have lived in the house since it was built have dropped in to share their stories and old photos. It took renovations tallying a million dollars, but so impressive was Tim and Fran’s work, they won the 2012 Western Australian Heritage Award for Outstanding Conservation of a Residential Place. Now after more than ten years in the home, they have decided to sell; looking forward to giving another family an opportunity to enjoy the home and excited about starting the next chapter in their lives – well, except for Tim and Fran’s daughters, aged 8 and 10, who have lived at Penshurst their whole lives. “The kids got really upset,” says Tim, adding that one of his daughters had always complained about living in an old house and claimed that when she was grown up that her house was going to be “new and modern”. Perhaps not surprisingly, she’s now devastated that they are leaving and has taken it into her own hands to try to make Tim’s real estate agent, the lovely Toby Astill of Space Real Estate, miserable every time he comes over. “She hates Toby, and the poor man hasn’t done anything wrong,” laughs Tim. But could they really leave, after the excitement of living through what may be one of Perth’s most dramatic home renovations? Tim says it is likely they will find another project. I look forward to seeing the next one. FANCY A DIP? 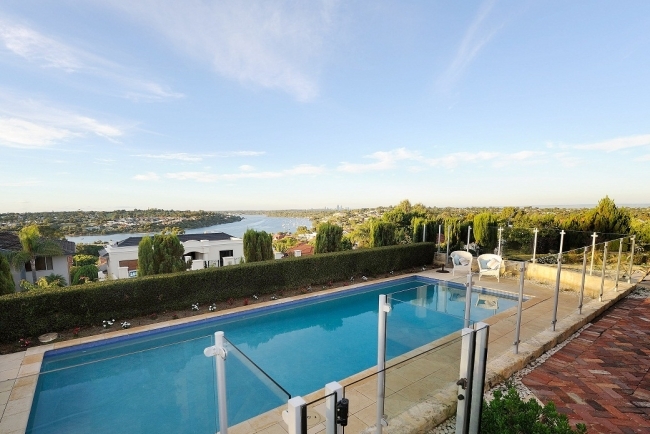 The Briens beat hot Australian summers with their pool, swimming against a backdrop of river and ocean views. 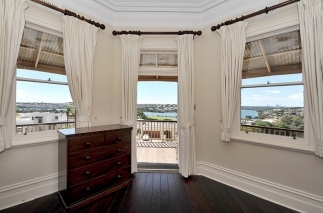 NOT A BAD VIEW: This house is as lovely inside as you might imagine a house called Penshurst would be. I’ve always wanted to live in a house with a fancy name so I can say pompous-sounding things like, “We spent summers at Killarney” or “during my childhood at Windmere”. I did give my house a name when I bought it but The Crap Shack is not quite the same. 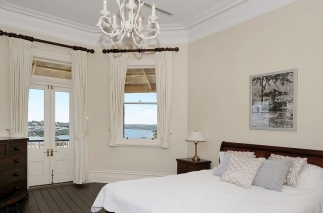 VIEWS TO DIE FOR: Perched high on Richmond Hill, the home’s river, city and ocean views took my breath away. 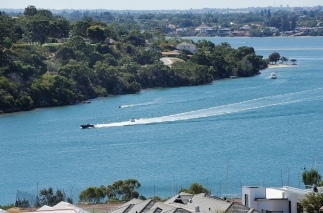 According to the Heritage Council of Western Australia, Penshurst was built in the colonial era when the merchants of Fremantle actually preferred to settle closer to the heart of town – just on the outskirts in the terraces of East and South Fremantle. 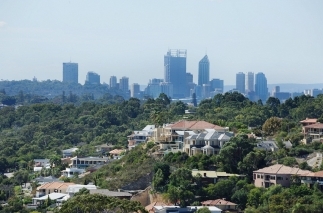 While East and South Fremantle ask for a pretty penny these days, it’s views like these that fetch premium prices in Perth. OLD AND NEW: The home lets Francis and Brien indulge their love of the traditional and the modern. 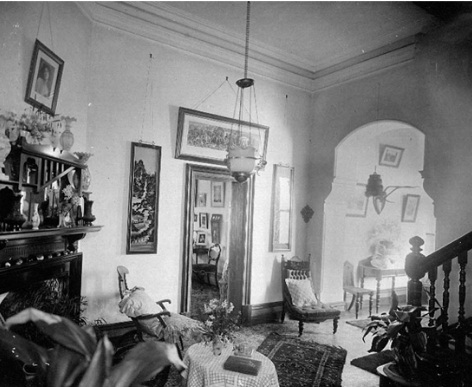 The older part of the home has been decorated in a classic style, with numerous antiques. Clean lines and modern and retro pieces reign in the contemporary open-plan living. 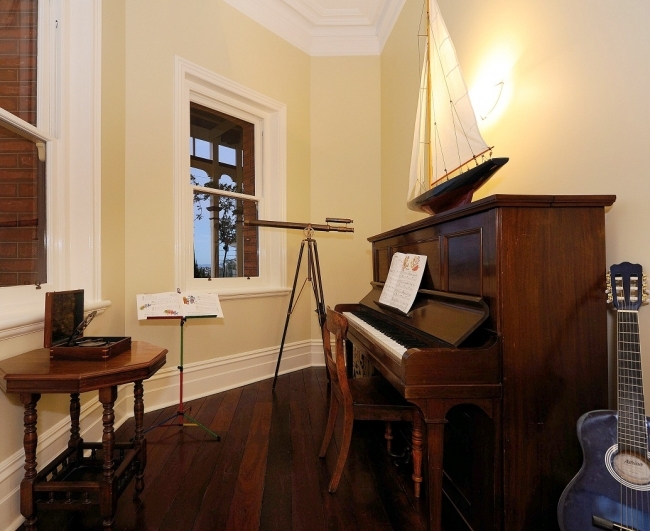 THE MUSIC ROOM: Adjoining the formal lounge is a music room, with an old telescope for watching boats come down the river. THE MODERN EXTENSION: Frameless glass bi-fold doors open the space up to the outdoors and make the most of the spectacular river and city views. 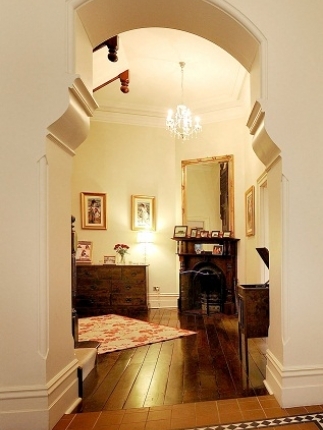 Tim and Frances are big believers that when renovating a heritage-listed property that any new extensions should be distinguishable from the original home, as is customary in the U.K where they lived before. So they added a very modern open-plan living extension. 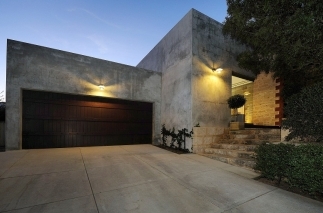 It works perfectly, the concrete walls and zinc cassette cladding a beautiful juxtaposition against the restored tuckpointed walls of the original home. 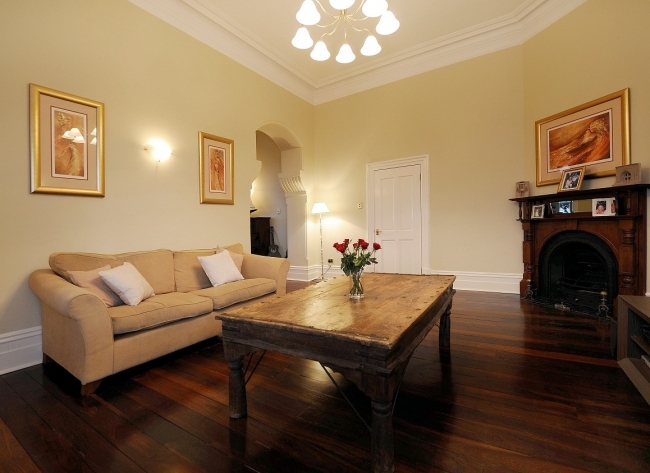 TRADITIONAL AND CONTEMPORARY, LEFT: The restored lounge room. 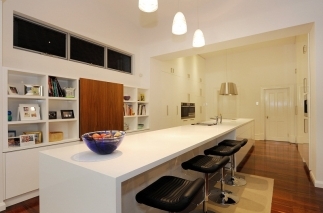 RIGHT: The new open-plan dining and living and the modern kitchen with CaesarStone benchtops, gloss white cabinetry and an Elica designer rangehood. The island bench is a whopping 6m long. LEFT, THE LIBRARY: The library in the tower is a little place to get away. RIGHT: The original hall - love how thick the walls are! Penshurst as it was around 2000. This is a quality article Maya! So, how do I become friends with the owners? Tell them I can sing (I can't) or tell funny stories (I can't do that either). Why thank you Justin! Well I don't want to be telling them lies... how about you borrow a child from your local park or recreation centre and enrol it in their childcare centre? Be a great way to get chatting to them. 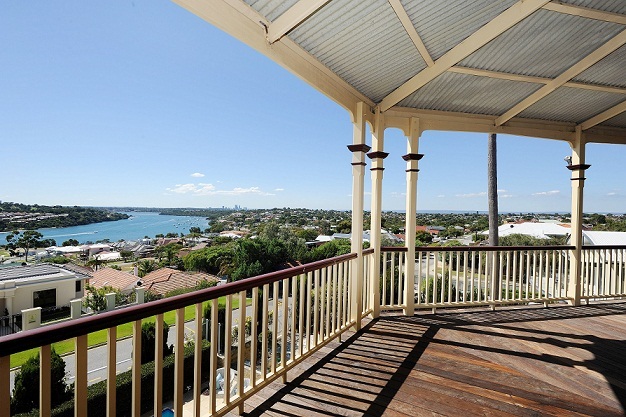 How do we persuade our parents to buy this place? Seriously. Beautiful just Beautiful <3 it so much!!! 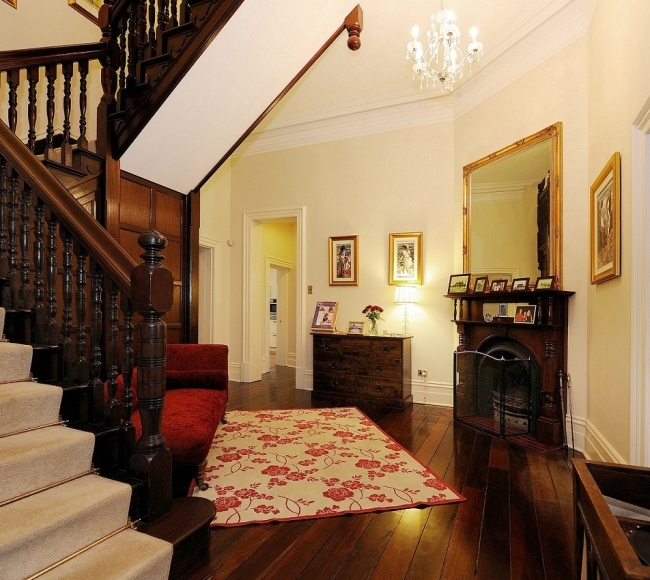 This is a quality restoration, I love the style and the tasteful interior. A fantastic piece of work ...very impressed ! Me too June and Robyn! I was blown away... such a mammoth task to take on but they absolutely nailed it. Hi Maya My parents used to live almost opposite the Penshurst House, from the early 1990's. I went inside it a few times after it was left empty and unlocked. So sad to see it vandalised over the years.. All the fireplaces were stolen, and I was told that even the staircase was stolen! I went to the auction, and have always wanted to see what it looked liked done up. It was my dream home for many many years. Thanks for showcasing this, and thankyou to the owners for sharing! Sue that is awesome!! I would have done the same and snuck in to have a peek too (although chicken me would have been terrified). When I was a teenager I was so so happy to see that it had been bought and was being refurbished... can't believe it was close to demolition once, how sad would it have been if that had gone ahead. I saw in the before photos that the fireplaces were missing :-( I see hundreds of houses for my job but this one is still one of the most enchanting homes I have seen and one of my faves. Definitely something really special about it! Wow. I just love to see pieces of the past restored lovingly to their former glory. 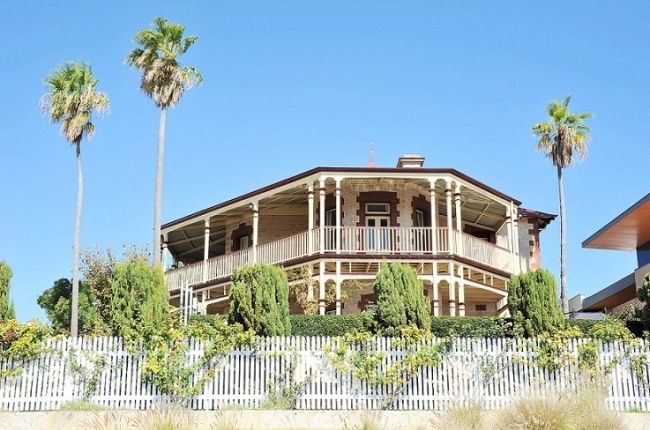 At first glance, with its magestic Palm trees, I wondered if it might have been an old Fremantle brothel called "The Palms". I kid you not, I have an ongoing personal interest in such establishments, since , apparently some of my ancestors were in the business. Not meaning to imply that "Penhurst" comes into that category at all. 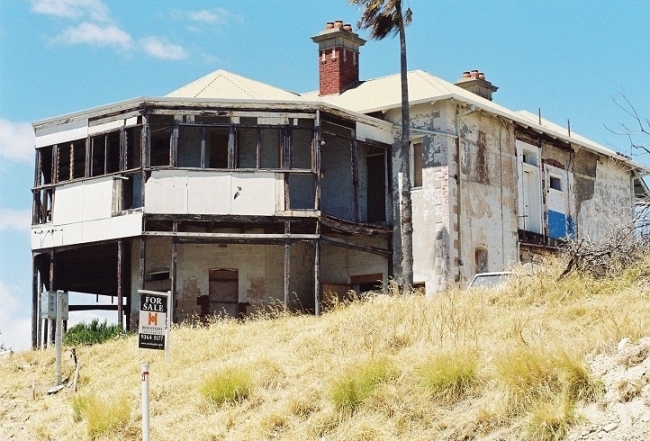 I would still love to hear from anyone who knows of any old Fremantle or North Fremantle houses of ill repute. Hahaha Kerry! I quickly looked that up, apparently The Palms was on Bannister Street and stretched up to Martin Street (which interested me as a friend of ours was going to open a bar on Bannister). Here's a link with a little info http://www.abc.net.au/stateline/wa/content/2006/s1898366.htm That's funny that some of your ancestors were in the business. I too love learning about houses with shady histories. I know a lady who lives in a former brothel in Highgate, interesting old home! I used to work for Fran & Tim and will always remember the staff xmas party they threw at this beautiful house for their staff. 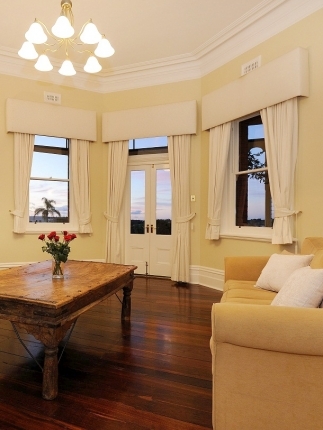 You could tell every inch of the house was restored with love and attention to detail. Simply beautiful through-out with understated class. Such a lovely family, I always thought they'd be in this house forever. Wish them all the best on their next project whatever it will be. Oh what an amazing house for Christmas parties! That sounds lovely. Definitely a real labour of love, this home. Love it, it is a credit to the owners. If I Won lotto that would be where I would put my money and then I would open it for viewing for 3-6 months with coin donation going to Bright Blue PCFSC. A Perth Charity that cares for kids. 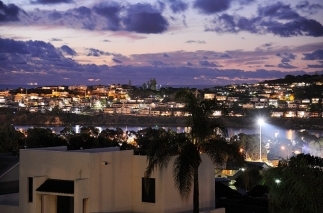 interesting article thanks I lived there from 1979-1991 when the owner was Oli Strang snr, then Oli Strang jnr.